For as big as the holiday shopping season is, it is generally complimented by a massive groundswell of charitable donations. It is the true spirit of the holidays, and one that defines our generosity as a people. Usually. In what is turning into one of the most bizarre stories of the holiday season, the small business and purveyors of some of the best WTF items available on the internet, Regretsy.com, was told by PayPal that its account had been frozen. After then essentially accusing Regretsy of fraud, PayPal told the site’s owner that to unfreeze the account, it would need to return all the donations along with an apology to each of them. In the meantime, PayPal would take another cut from the processing fees associated with the thousands of individual returns, thus setting off a groundswell of support that would make a pre-hallucination Ebenezer Scrooge give money to the homeless. 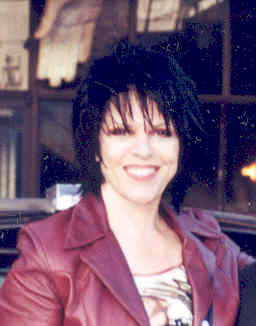 It began simply enough: Regretsy founder and owner April Winchell (who operates the site under the name Helen Killer) decided to collect donations to buy gifts for 200 needy children. After vetting numerous applicants, Winchell chose the lucky 200, then asked her site’s customers to donate $2 to a fund that would be used to purchase gifts. Things went well–so well that even after buying the promised gifts, the site earned enough money to give financial donations to the children’s families along with the presents. Along the way, Regretsy made the mistake of accepting the funds via PayPal’s “Donate” button. PayPal noticed and immediately froze the account, as well as a related account for the site Zazzle.com, which was being used as an emergency fund to purchase gifts if necessary. Assuming this was a situation that could be resolved simply enough, Winchell called PayPal and proceeded to have a bewildering conversation that ended with PayPal not only keeping the accounts frozen, but telling her she needed to return all the donated funds—minus both PayPal’s initial processing fees, as well as an additional processing fee on each of the returns. It is unclear whether or not the PayPal representative concluded the call by saying “bah humbug,” but it seems to be inferred. A full transcript of the call can be found here. “What about Amazon?” Winchell countered. “We know what you’re doing and we’re through playing games with you,” the rep replied. But while that may sound a bit like an overzealous and unreasonable, but possibly good-hearted rep attempting to prevent what they saw as a possible fraud, the story doesn’t end there. Following the conversation, PayPal then froze Winchell’s personal account and told her that they will be holding the money for six months. And there’s more. Winchell had already purchased the gifts, and has personally guaranteed that they will still be shipped regardless of the issues with PayPal, but the money PayPal made from each of the thousands of individual $2 sales and donations goes to PayPal—as does the fee the company has charged for each of the thousands of manual returns the company forced Winchell into issuing. So to recap, despite the clear indications on the Regretsy website (that the rep claimed they did see) of the intent and purpose of the donations, despite the repeated assertions that the extra money was going to be given to children in need, due to a technicality that began when Winchell incorrectly–but reasonably–used the “Donate button” (which is itself a legally gray area that PayPal’s own Terms of Service actually do allow this), PayPal forced her to return each donation in order to unfreeze her business’ account. But not after taking its cut for a second time. This is not the first time that PayPal has been in trouble for freezing charitable accounts. In 2005, the company made headlines when it froze the account of Richard Kyanka, the owner of the humor website Something Awful, after he created an account to collect charitable donations for the Red Cross to aid Hurricane Katrina victims. After receiving too many donations, PayPal froze the account. Despite providing evidence of his charitable intent including all his personal financial records, PayPal told Kyanka that he would have to wait several days as an investigation was conducted. Kyanka then suggested that PayPal redirect the funds directly to the Red Cross, but PayPal refused, claiming that it has an exclusive charitable relationship with the United Way. In the end, Kyanka decided to return the donations. PayPal waived the domestic processing fees, but kept the international service fees. Then in 2010, without warning PayPal froze a large amount of service in India. It returned all funds in transit, which wreaked havoc on numerous people and businesses as they suddenly found themselves owing money they thought had been paid, with no explanation, and in some cases no means to pay. In March of 2010, PayPal froze donations to Cryptome, a site that specializes in whistleblower documents. PayPal took over $5300 in in-transit donations, but refused to explain why, even to Cryptome, citing privacy. PayPal eventually issued an apology, but not an explanation. The list goes on and on. To PayPal’s credit, many of these issues arose out of the company’s intention to avoid fraud at all levels, but the company’s customer service has repeatedly been criticized for failing to satisfactorily resolve the issues and oftentimes leaving the situation worse off. Oddly, Winchell posted a link to PayPal’s response but claims the company has yet to contact her.